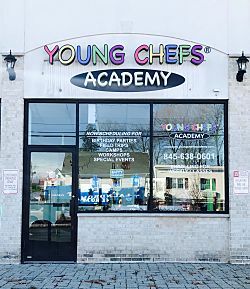 Successful Young Chef Academy Business for Sale, Rockland, New York. Young Chefs Academy of New City is a cooking school for children, teaching children of all ages the joy and value of cooking. YCA of New City offer weekly classes (single paid or monthly memberships), birthday parties, holiday workshops, school break camps (winter break, spring break, summer break), field trips for local schools, organizations, boy/Girl Scouts and adult classes. Current owners are selling as they cannot devote enough attention to the business. The owners are passionate about the brand and the mission would like to pass on this business to someone who can give it the attention it deserves. YCA is great for the community. Young Chef Academy is the leading national cooking school for children. Established in 2003, there are currently 36 franchised locations. Cooking is one of the hottest past times today with new cooking programs coming online and on television every week. Cooking has always interested every age group but now more than ever; cooking has become one of the most popular extra-curricular activities for children. Parents recognize the value of teaching their children to cook and are actively seeking out programs that enrich their children's life now and for their future. 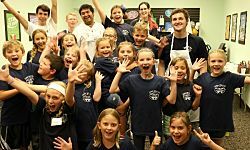 Children, parents, schools, teachers and health care providers are recognizing what the Young Chefs Academy's brand is doing to improve the lives of children and their communities across the country. 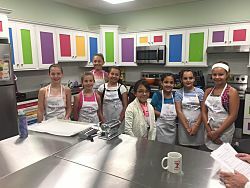 Not only does Young Chefs Academy promote cooperation and camaraderie among its fellow students, it helps build solid relationships within the family unit. To find out more about this Young Chef Academy for Sale please fill in the form below and submit.